More snow arrived last week and made for some of the best conditions of the season so far. It was good enough for GoPro video cam to come out. Then temperatures moved up –not so great. But the snow party has returned. Read on to see how the outlook has improved. Last night around 4 cm of fresh snow still lightly falling on the upper slopes, the high winds are subsiding (although Bunderitsa 2 to plato is shut right now). We’ll see some sunshine later too. Today will be good conditions. It’s a fine time right now. No holidays — and I’m loving the empty pistes. However, temperatures are above freezing during daytime in town, and this means that the best skiing is found higher up. With these higher temperatures the light snow will fall as rain in town. However on Thursday, see charts above, the snow will fall heavily — around 10 cm expected. May be double this on the higher slopes. 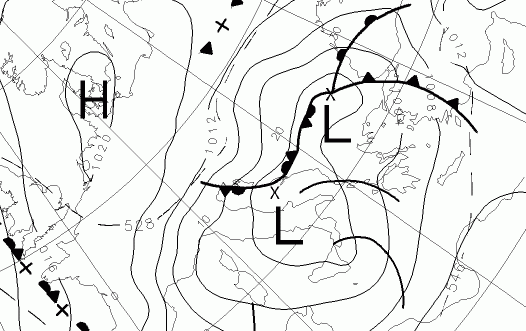 On Saturday the cooler airmass from the North comes down and this is when things get back on track temperature wise. Sunday will see a cold front bring snow everywhere. How much? Looking like 5 cm lower down, more higher up. At this time of year things can change quickly. 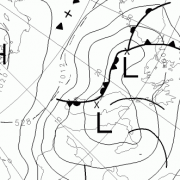 With the low pressure systems often a sprinkling of snow can happen higher up as the air is cooled and condenses as it is forced over the peaks of the might Pirin. The good folks at Fuud hoods, sent me a few of their best selling Fuud hoods. The task was set to test these on both the fashion and warmth barometer. Their verdit… a thumbs up, on both counts. Perfect for strolling around town to make the all important fashion statement and to keep both the head and neck as warm as toast. Our ladies are keeping warm on the cool days and in the evenings. These Fuud hoods are just what we need. head of the label Louise Halswell has created a range of fashionable ski apparel including onesies and headbands. Based in the heart of Hackney borough, Fuudhoods collections can be found on Brick Lane Upmarket, ASOS Marketplace, UK and European boutiques and have been a feature on the UK festival circuit for a number of years. The brand began in 2009 when the Fuudhood, a detached knitted hood, was created. Ski fashion has been a little absent from here and I’m on the look out for more fashion stories to showcase here. One trend I like is the move to ski shells and layering. Ski / snowboard clothing is an expensive purchase and layers make more sense. It means the layers can be used for other things and there’s no need to be too hot when the sun shines on the warmer days. The feedback has been really good on the choices of restaurants now available in Bansko. I can’t possibly try everywhere in one season, but I have been trying! Yes, really I have been hard at work (eh?) eating at just about all the fine dining places in Bansko. I have not had one bad meal. So I have recently expanded What’s new for the season? 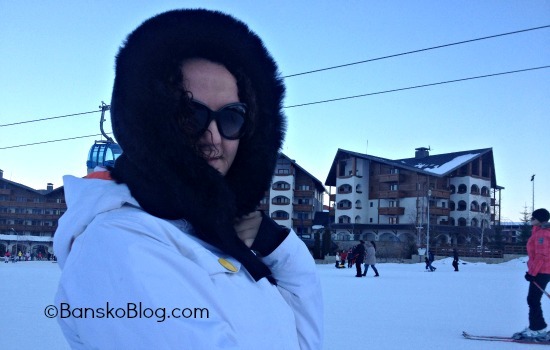 article, and included more places but Bansko has been transformed this season. It’s becoming a foodie’s destination. Quite incredible. Especially when looking back four years ago when it was hard to find much variety other than from BBQ meats accompanied by loud gypsy band music. Vegetarians are now well catered for too. Things like vegetable risotto and non meat pasta dishes are here. My focus when venturing out to places is on the food and service. And no longer trying to find a place that ist a smoke fest! Yes, the smoking ban works well. It’s not just sushi and fine dining. My time has also been interspersed with the regular places, such as Dragon’s Den Celtic Tavern, Lion’s Pub, Queen’s Pub, Harry’s Bar, Chepishev, curry night at Avalon and some quite acceptable good street food, in between all that. Talking of street food, I hope this will in the future offer more variety from the ubiquitous pizza, hot dog and kebab fare now liberally sprinkled around town. I woud like to see locals bring their best home made dishes out of the mehanas and onto the street. There is some excellent local cooking and more of this should be shared amongst Bansko street diners. As fewer people seem to be venturing down Pirin street, into the old town, I think the local food should be brought up to where visitors are located. 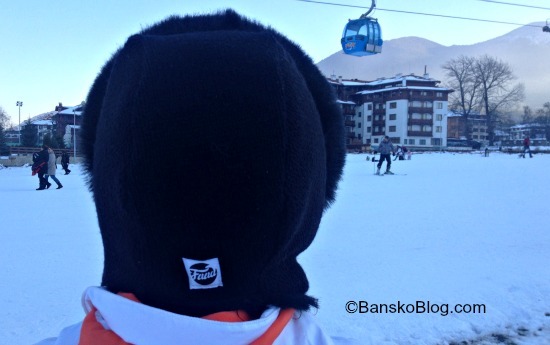 All of the mentioned restaurants and bars may be found in the Bansko app. It is totally free to download for Apple iOS and Android mobile devices. Clicking on the places/bars and restaurants button opens an interactive map and listing. Clicking on a pin on the map will give you more detail including booking. In resort the green pin marks your exact location. To keep the app free I need your help… please don’t just download the app! Rate and review it. 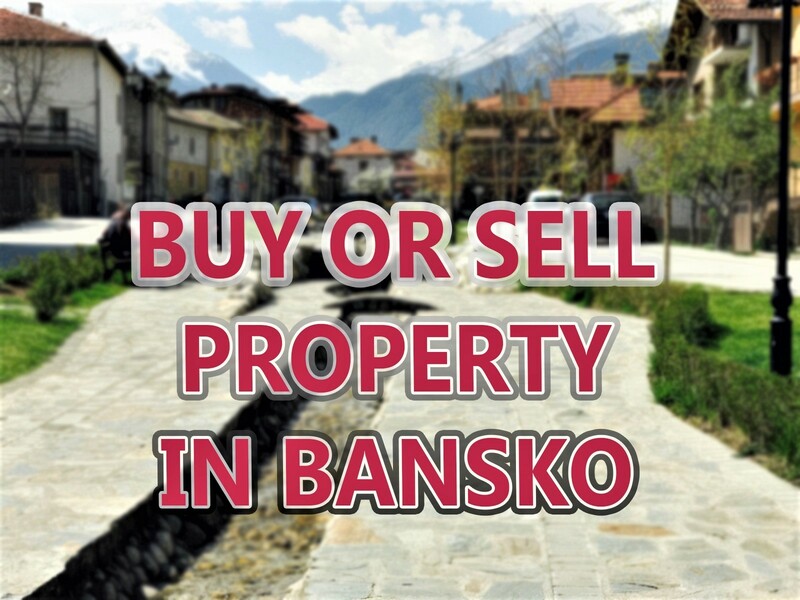 The more popular the Bansko ap is the more businesses (read advertisers) want to be part of the app. Just one minute of your time goes a long way. 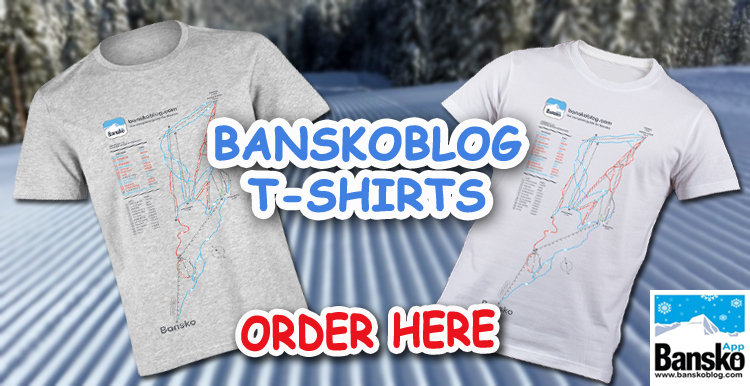 Download the 71 page “The Essential Guide to Banko” it will help you make the most of your stay. Subscribe in the column on the right. Staying for six days (or more)? Then avoid the queue at the cash desk. 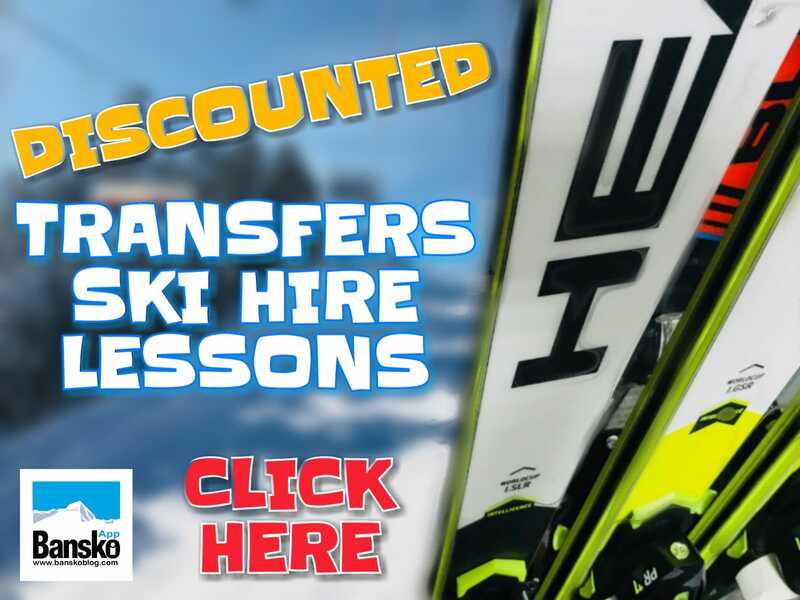 Order here, online if you are renting skis/snowboards.